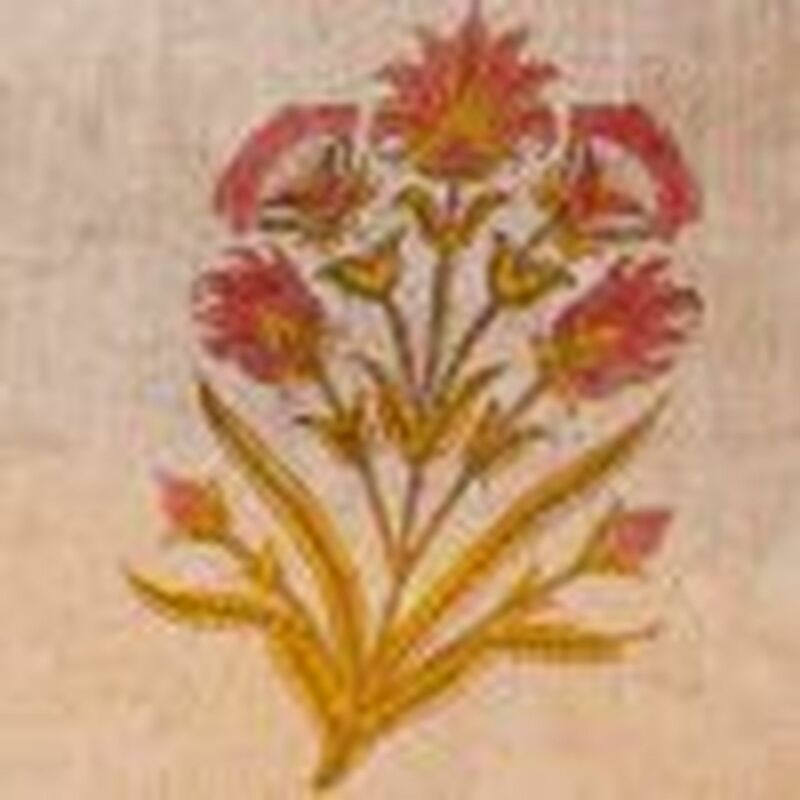 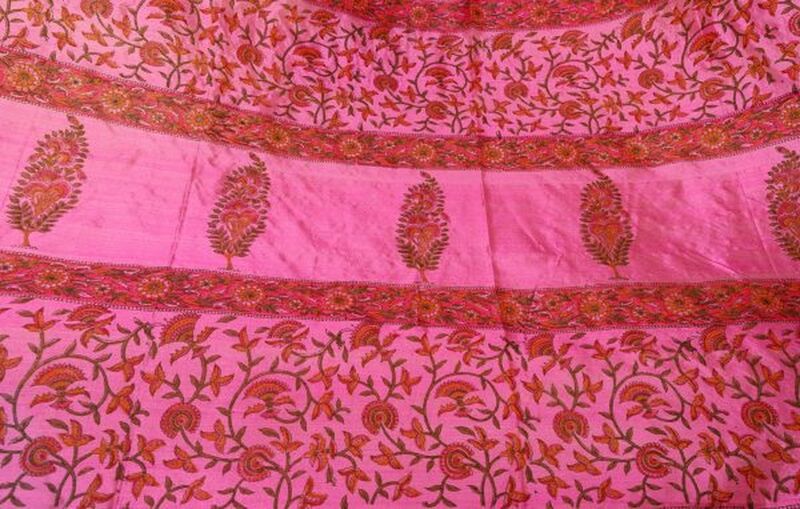 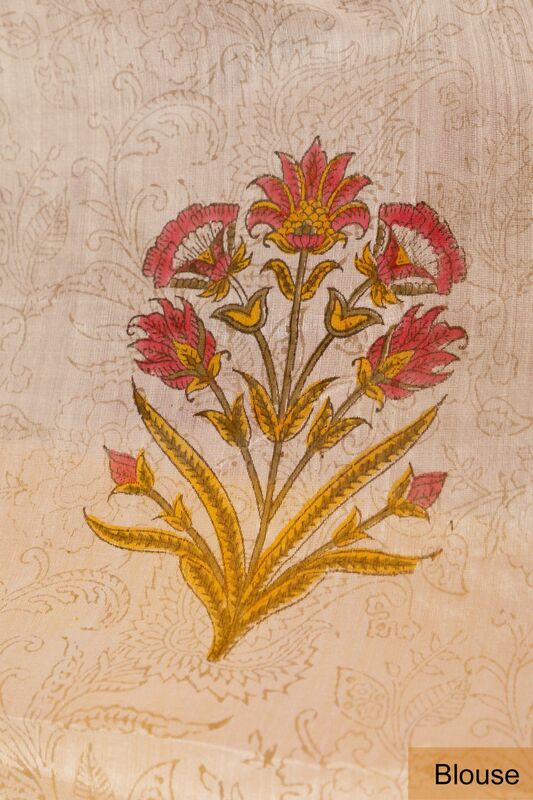 Maheshwari Saree with Hand Block Print Mughal Bootas. 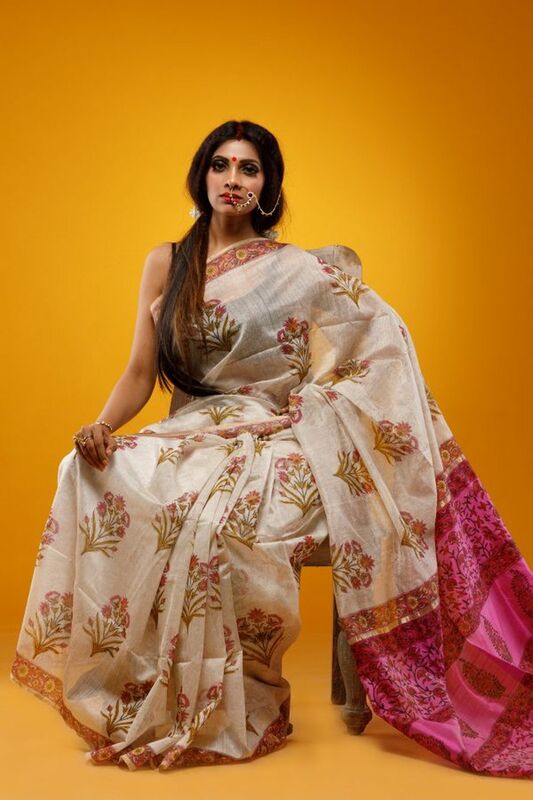 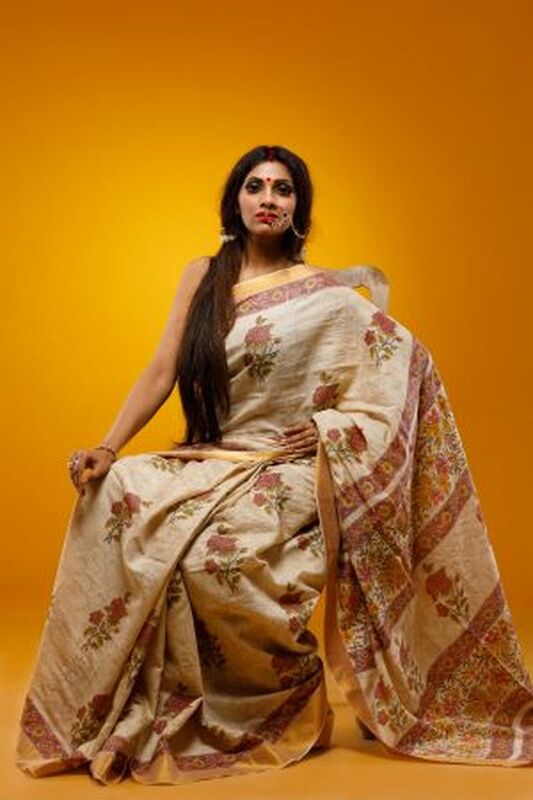 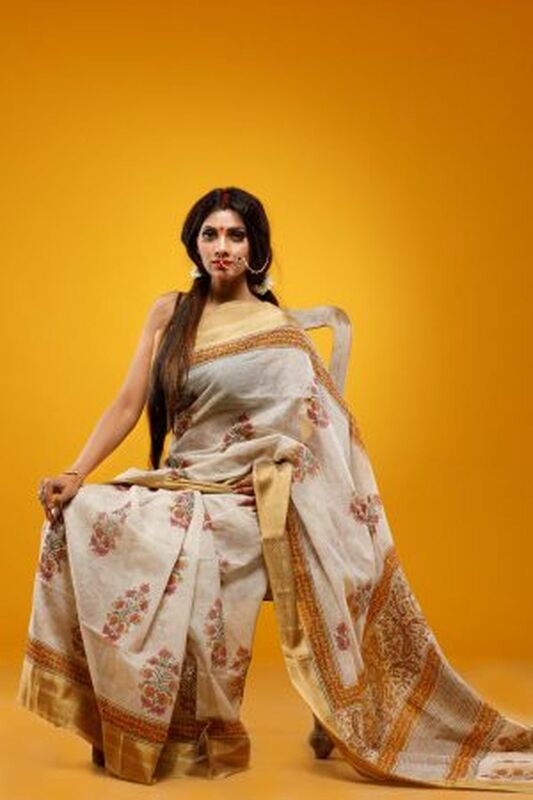 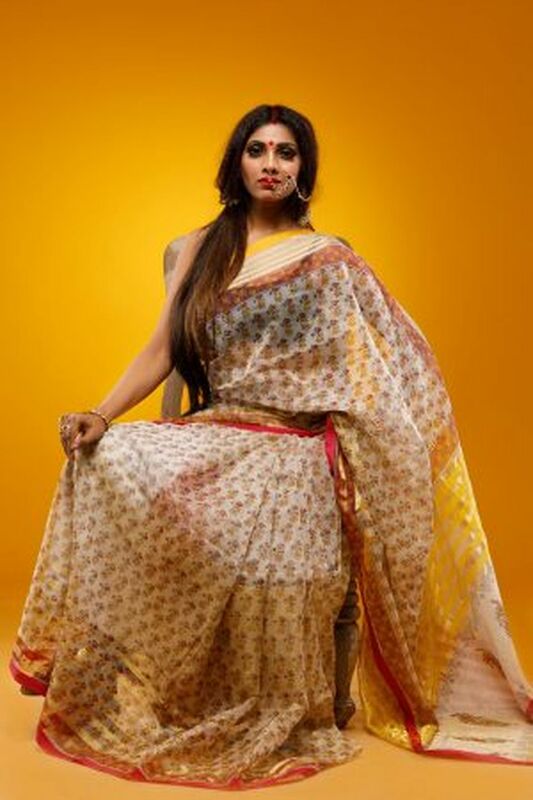 This beautiful off white saree has lovely bootas in Pink & Yellow to create a classy regal look. 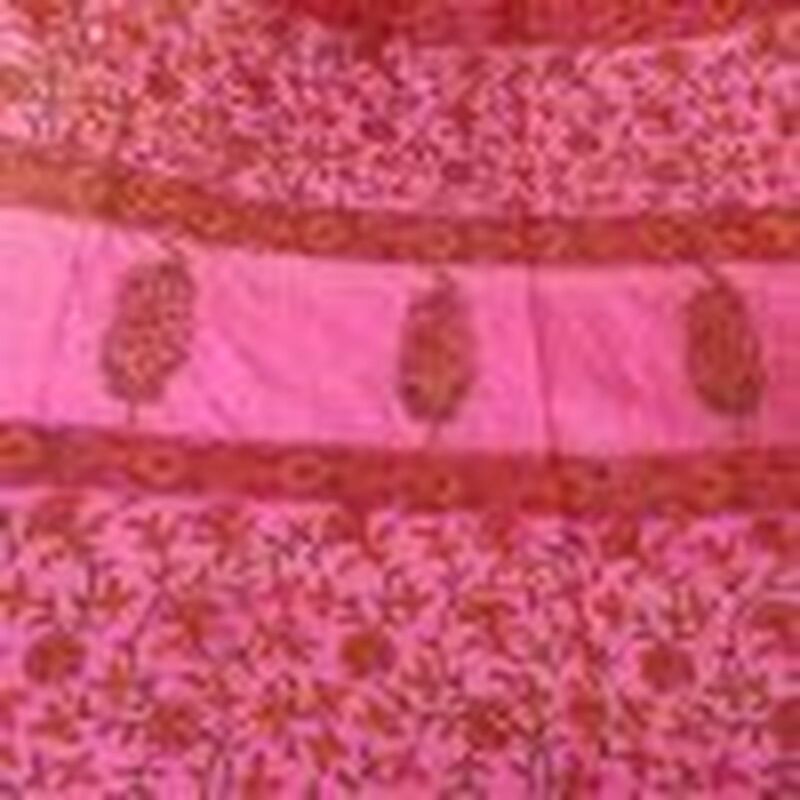 The Hot Pink palla adds a unique festive glam to the saree.